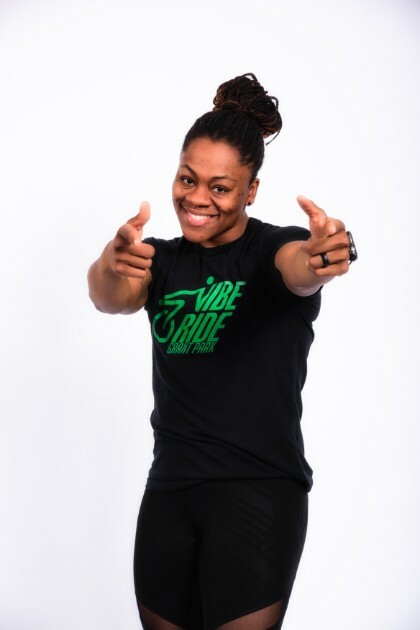 Jasmine teaches CUT Body Bootcamp, Cycle & TRX classes at our Grant Park and Midtown location! She’s originally Pittsburgh, PA (Go Steelers! In her free time, you can find Jasmine spending time with my friends & family, writing poetry, meal prepping, training clients and always listening to music! She is the owner of JNC Bodies, her very own private personal training and meal preparation services business that she started in 2016! Fitness has always been apart of Jasmine’s life – She grew up an athlete!In college, she gained a ton of weight, but plot twist, she was in school for Exercise Science! Upon graduation from undergraduate school, Jasmine hovered around 220-230lbs. Now, you can find her preparing for women’s physique competitions and promoting health and wellness in Atlanta!